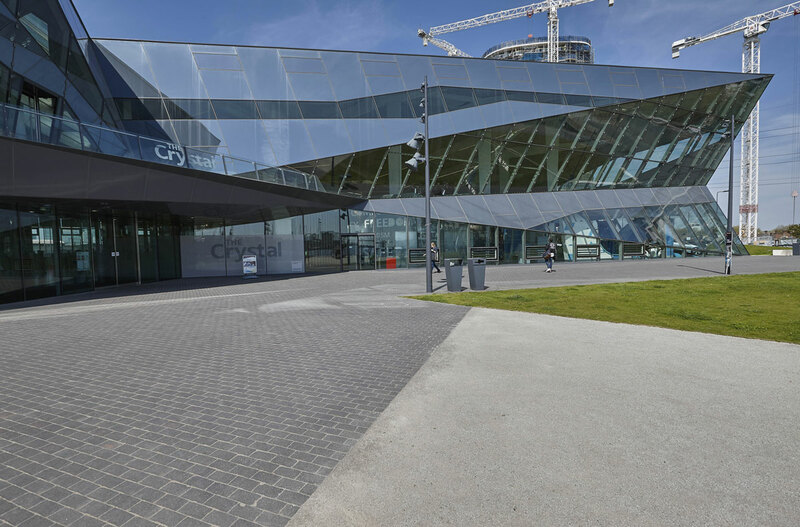 The Crystal building by Siemens is a showcase project to demonstrate the latest ‘green’ building technologies within a working building. 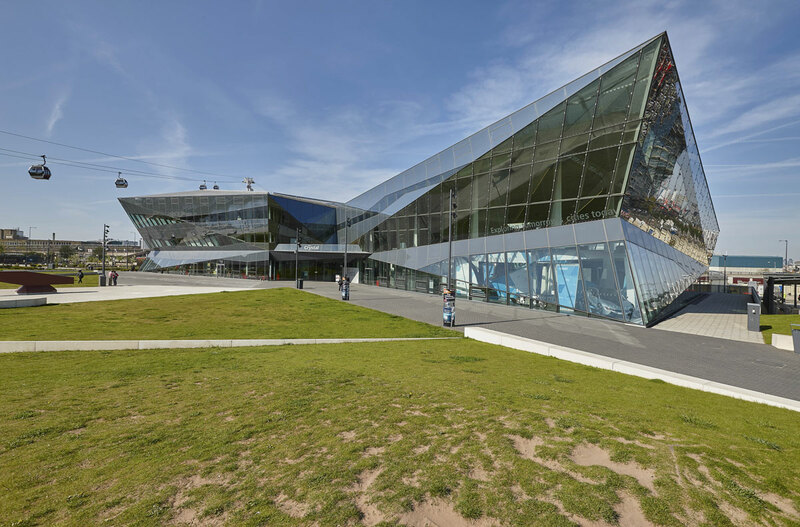 The building generates 70% less CO2 than a comparable building and has £0 heating costs. The triple glazed walls let in 70% of the natural light but only 30% of the solar energy shown in the London Architectural Photography. 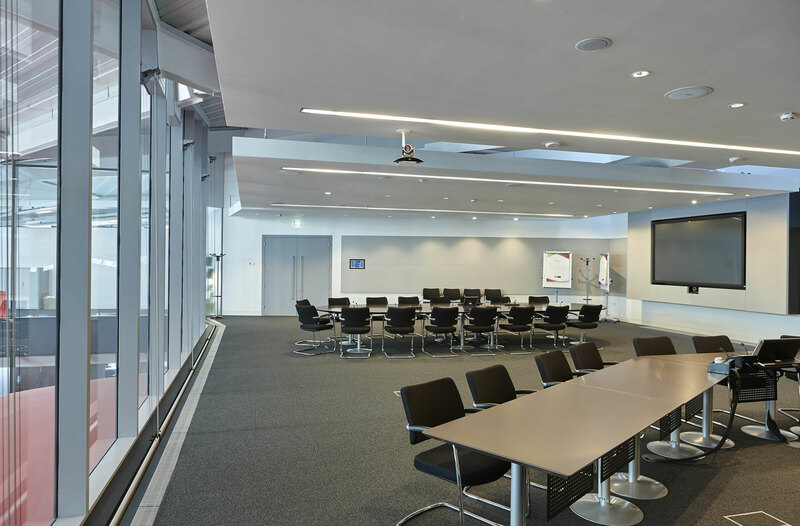 199 ground source heat pipes, measuring a total of 17km and reaching a depth of 150m heat the building during the winter and provide summer cooling. The ground below the building shown in the images by an architectural photographer london is used as a heat reservoir to store heat in the summer and to extract heat during the winter. 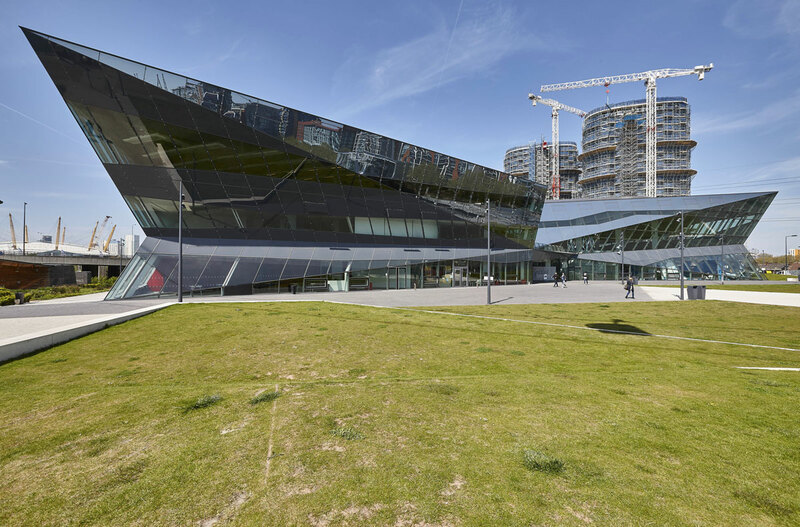 The structure in the commercial photography is a permanent exhibition about sustainable development on Victoria Dock in east London and is part of the Green Enterprise District policy. 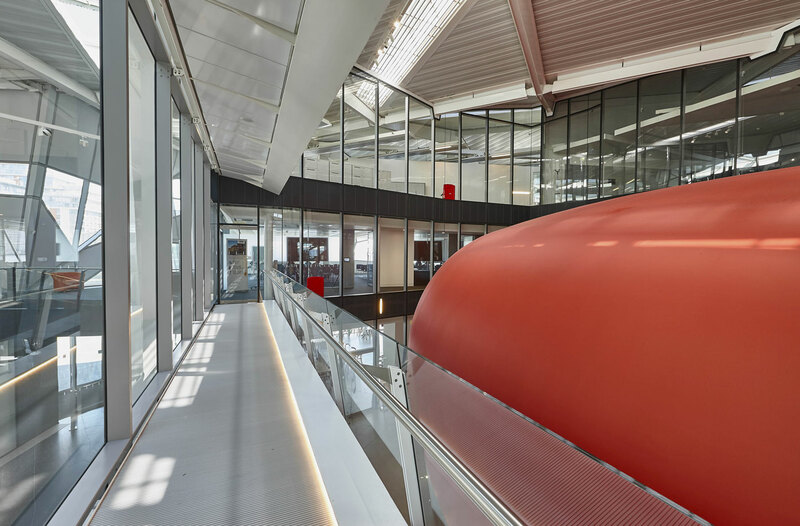 The building has achieved the highest sustainable building awards from the key accreditation bodies, Platinum from LEED and Outstanding from BREEAM and holds the position of the most sustainable building in London shown in the interior photography london.